I’ve been wanting to write about this for a while now. Does anyone else find it difficult to convince your spouse into a major life change? I’ve made a few mistakes along the way when it comes to communicating with my husband regarding what a major change it would be for me to walk away from my 11-year-old career to build an online business from scratch. Going in, I was not the best at laying out a cohesive plan and showing him exactly what I intended on contributing to the family finances. I had the attitude that I’m going to make this work and he should just get on board regardless if he knew what he was getting on board with or not. I’ll let you in on a little secret… that didn’t go over so well! Yet I continued for months to act as if he “knew” the plan and he should be “more supportive” of me and my business. I would get angry every time he would bring something up about money. So I’m here to save you a little lot of trouble with your spouse and help you lay out a plan that puts you both on the same page. 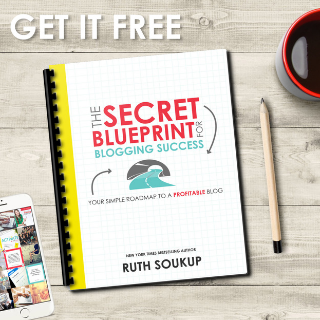 Starting an online business from scratch is hard enough, there’s no reason to complicate it by being a crappy communicator with the most important people in your life! Affiliate links are included below. This means that I will earn a commission from products I recommend at no additional cost to you. I only recommend products I trust and use myself. One of the biggest lessons I’ve learned since starting my business is that life and work are not separate. When you’re running a one-woman show, everything you do impacts your family. Believe it or not, when I quit my corporate job I had no written plan. I had a plan “in my head” and that didn’t make my husband all warm and fuzzy inside. I’ve always been a planner and a very practical person so he couldn’t understand why on earth I fought him so hard about a plan for my business. Here’s the truth: I didn’t show him a plan because, even though I was super confident that I’d make this work, it was scary to write it down and see my big goals in non-erasable ink. Really scary! My corporate-minded husband could not wrap his mind around what I was working towards without a plan. This caused some major conflicts during my transition from full-time corporate to full-time business owner. I knew deep down that he was right and I had to make a plan. Luckily, I found a way to plan for my business that encompasses both life and work and it’s super fun! It’s hanging over my desk on post-it notes. I’m not kidding! My husband chuckles about it, but the plan is all there, clear as day and easy to understand. This is the most tempting point to ignore. Most people would rather stab forks in their eyes than talk to their spouse about finances. Money can be a huge point of tension in relationships. However, if you ignore finances in the beginning of your business, I can almost guarantee a full brawl at some point in the first year with your spouse. Education expenses- do you need additional training to start or grow your business? 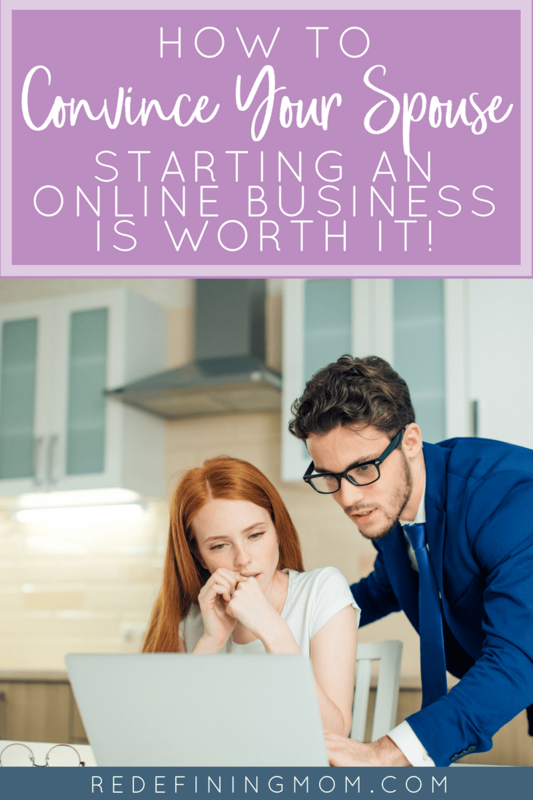 This is not an exhaustive list of everything you’ll need to run an online business but it’s a good place to start to think through your business expenses. I highly encourage you to sit down with your spouse and map our your family and business budgets so you are both on the same page. I’ve sold over 500 copies of the Easy Budget and Financial Planning Spreadsheet for Busy Families. This is the exact spreadsheet that my husband and I used to get on the same page about finances. I highly recommend using something like this as you embark on your business journey. You can also download my free budget binder printables. I’ve created an easy Business Tracking Spreadsheet that will help you keep track of all your business accounting, business account, estimated taxes, and much more. 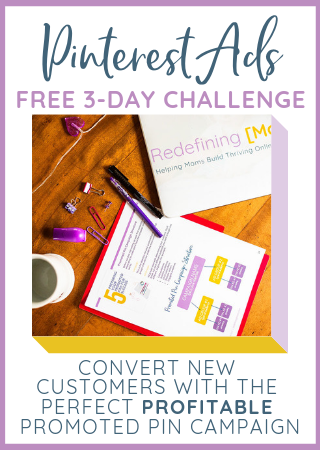 I have free business tracking printables that you can use to get started! Even better, I’ve included both of these products in my new course, Busy Moms Building: 12 Steps to Running an Online Business for Busy Moms! Building a business is a lot of work and it’s a lot of fun! That’s right… fun! When you are working on something that you’re truly passionate about, it’s easy for you to let it take over. It was hard for me to continue working my full-time job while I was building the foundations of my business because all I wanted to do was work on it. But here’s the real warning: running a business is a lot of work and it will quickly take over your life, including your family, if you let it. Whether you currently have childcare because you work full-time or you stay home with your kids now, if you plan on working on your business full-time, you cannot underestimate the need for childcare. I know women who run 6-figure blogs and grew to that point without regular childcare. I know other women who run service-based businesses and Etsy shops who can’t get anything done while their kids are at home with them. Personally, I don’t work well when my daughter is around. I think it’s part my personality and part that I’ve grown up in the corporate world where I’ve always had dedicated work time. Regardless of which way you lean, I believe it’s important to have a backup plan. If you plan on keeping your kids home with you when you work, what will you do if it proves to be too much and you need help? How will you budget for that? If you plan on having childcare, who will be the primary parent if your child gets sick? Come up with a solution to these questions before it happens so that the answer is clear and there is no need to argue with your spouse about it in the moment. This sounds kind of funny doesn’t it? I mean how can you forget that you live with another human being?! Oh trust me, you can. You may be aware of their physical presence, but being aware of their emotional needs is completely different. When we get hyperfocused on something we care about, it’s easy to overlook the small things in our relationships. Did you used to make your spouse coffee every morning but stopped because your morning routine changed? What about date nights? Did you used to go on date nights but stopped because you were trying to save money so you could quit your job and work full-time in your business? It’s the little things that add up that mean a lot to the other person in the relationship. 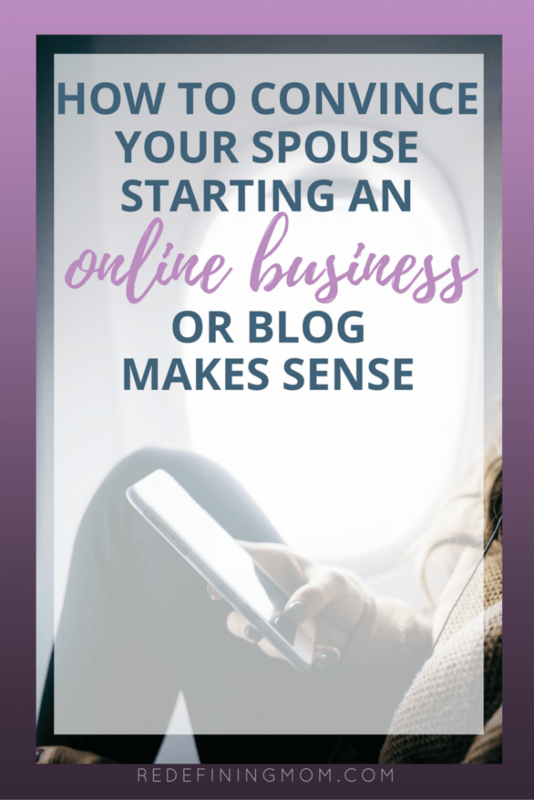 If you are not aware of the changes being made in your life as you build your business, you can quickly run into relationship issues with your spouse. Make a daily effort to be present with your spouse. I promise you, it goes a long way! YES! I know you are! It turns out that my passion is to help moms start their own online businesses while still having time for their families and/or day job. I love it so much that I put together an entire course on how to do it! I wanted to make sure it was good enough to produce results by leading 12 people through the course in a group setting. I just finished the live program and it was hit! Let’s start your online business! 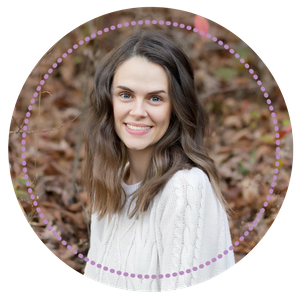 The Busy Moms Building course is ready to help turn your passion into a profitable online business! My husband is on board with me building my business. He’s just irritated about how long it’s been taking. What would you suggest then? Great question Sarah! When I quit corporate I set extremely unrealistic expectations with him in regards to a timeline. He would get irritated because I said “x” and that didn’t happen. Ramping up a business is not the same as going into an office and getting a guaranteed paycheck and it’s very hard for the other person, who has only known a guaranteed paycheck, to grasp the differences. The first thing I did was reset expectations. I presented the plan, I told him what my goals were but I was very clear that no matter how hard I work, this is not a guarantee. Second, I told him he needed to get on board with not having definitive answers for a while. They might not “like” it but if you’re transparent it does help. I learned never to make promises in this regard. I set goals and if I miss the goals, I explain why I think I missed them and what I’m going to change. As my husband and not my boss, I asked him to be good with that and so far it’s been much better. I’m forwarding this post for my husband to read! This is great Monica! Aww thanks Susan! I hope it helps! I’d hate to see anyone hold themselves back because they don’t want to go through these difficult convos and growing pains with their spouse!